Over the last few months, Cleveland's conversation about population has changed. Richey Piiparinen, who was recently put in charge of the new Center for Population Dynamics at Cleveland State University's Maxine Goodman Levin College of Urban Affairs, found that Cleveland's inner city is growing faster than the suburbs. His 2013 paper, 'From Balkanized Cleveland to Global Cleveland,' co-authored with Jim Russell, looks at how migration can reverse the decline of our city. 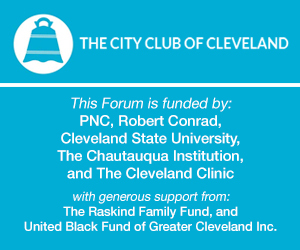 Join Piiparinen for a discussion about Cleveland's surprising population growth.